Dave is so cocky that we're not surprised when everyone he knows turns their backs on him. Like a relic from a pre-politically correct era, he spouts racist and sexist slurs at every turn while admitting that he hates everyone equally. This makes for a fascinating character, but it leaves the film without a central point: are we supposed to feel sad that the olden days are gone in which cops could do whatever they wanted? As with the similar Training Day, it's impossible to have sympathy when a character like this begins to go under. Fortunately, Moverman resists the Training Day-style apocalyptic ending for something more interesting and awkward. He also films it in a bristling documentary style, capturing fragments of conversations and filling the film with interaction that's anything but tidy. The supporting cast is impeccable, with Weaver as the standout and Wright lending dignity to a character we never quite believe. Meanwhile, Foster is almost unrecognisable as a homeless snitch, a rather unnecessary character who at least adds texture. 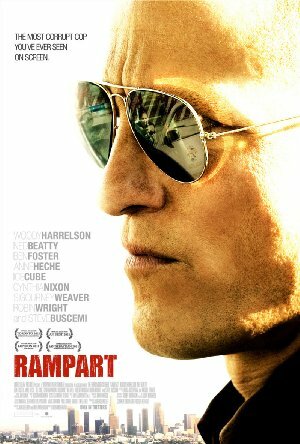 Of course, Harrelson is viscerally watchable, as the trigger-happy Dave digs a very deep hole to fall into, then fights for survival. But as his world falls apart, the depravity becomes merely cartoonish. Indeed, the script spends the first act making sure that we loathe Dave just as much as his friends and family. They don't want to end up as collateral damage while he self-destructs, and neither do we.